In the past, when I’ve written about series finales, I’ve used a format very close to the one I use to grade season finales. But as Leslie hugged Ann during Tuesday’s Parks and Recreation series finale, it hit me: That format wasn’t going to cut it this time. “One Last Ride” wasn’t just the first series finale of I show I actually wrote about weekly; it was the series finale of what I will now say is my favorite TV show of all time. (Sorry, Alias.) How could I fit something so huge into such narrow categories? How could I even try to slap a grade on something that was more of a life moment than a TV episode? (For the record, though, that grade would have been an A+.) How could any of us who’ve been so personally inspired by this beautiful show find a way to coherently talk about its finale? Parks and Rec has always been more than a TV show to those of us who love it. It’s a way of life and a way of looking at the world with hope, positivity, and a desire to make a difference. In a television landscape that’s becoming increasingly dark and nihilistic, Parks and Rec was a bright light—a show that was unafraid to wear its heart on its sleeve in the form of likeable characters who genuinely cared for one another. And to the very end, Parks and Rec was true to itself. “One Last Ride” will be remembered as a series finale that was unashamedly hopeful, genuinely emotional, and—above all else—a joyful celebration of the love we feel for the people, places, and work that matter to us. As such, it was the perfect reflection of the series as a whole. The most you can ask for as a fan of any TV show is for a series finale that honors the soul of the show you love so much. Parks and Rec gave its fans exactly that, and I’ve never felt prouder to be a fan of a specific TV show than I am to be a Parks and Rec fan today. 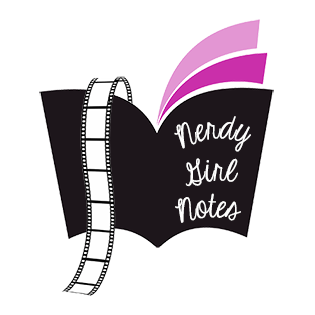 Today, Leah is back to share her thoughts on the finale of Once Upon a Time in Wonderland and the series as whole. What Happened? Jafar and Amara finish casting the spell that breaks the laws of magic, which they then both use for various means. Cyrus and Amara head to the Well of Wonders to return the water, while Alice heads off with an army towards Jafar’s castle, prepared to strike. However, their plans are interrupted when Jafar’s new army captures Alice. Jafar threatens to use his magic to change Alice’s past in an attempt to get Alice to reveal Amara’s location, but before he has to use that plan, members of his army arrive with reports of seeing Amara and Cyrus by two red doors, which the love-curse-stricken Anastasia tells Jafar is the Well of Wonders. While Jafar chases Amara, Will talks to Anastasia and makes her doubt the validity of her love for Jafar enough to get her close enough for him to reach out and kiss her. The kiss is true love’s kiss and thus breaks the spell Anastasia is under. Upon coming back to herself, she immediately helps Will and Alice out of their various confinements. Jafar interrupts Cyrus and Amara’s attempt to give the water back to the Well of Wonders and kills Amara, which turns her back into the water that gave her life so many years ago. Alice appears—disrupting Jafar for a moment—but he freezes her with his magic before she can really do anything. As Cyrus attempts to put the water back into the well, Jafar takes it for himself, gaining the wrath of the well’s guardian, Nyx, and bringing about his own punishment as a genie. This undoes all of what Jafar’s magic had recently done, and it stopped the effects of Cyrus stealing the water so many years earlier, freeing Cyrus’s brothers and Will from being genies and undoing Jafar’s revival of Anastasia. Alice and Cyrus arrive with water from Nyx to bring Anastasia back because it was not her time to die. Back in England, the Rabbit marries Alice and Cyrus ,with Alice’s family, Will, and Anastasia all present to witness their happy day. 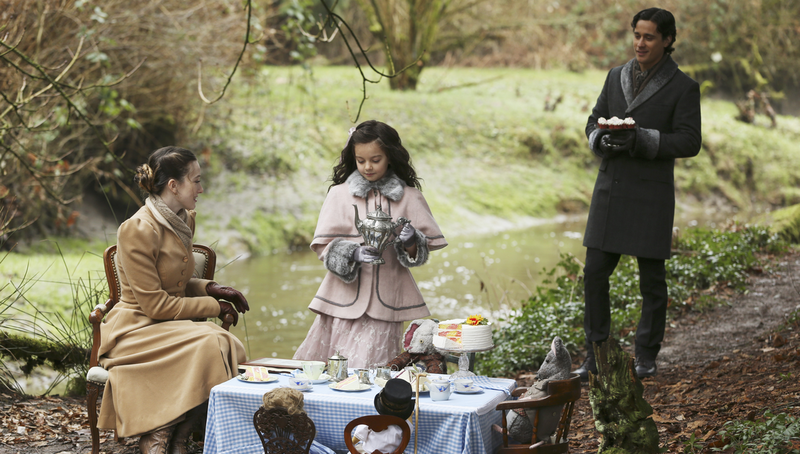 The last scene of the series shows us Alice telling her daughter the stories of Wonderland, while Cyrus brings them more treats for their teatime setup as the Rabbit looks on from afar. For my generation, there’s no moment in television that gets our collective tear ducts going like the final scene of Boy Meets World. It’s the perfect storm of great writing, incredibly strong (and realistic) acting, and the heightened emotional power that comes with a series finale. This scene gave us a chance to say goodbye to a group of characters that we literally grew up with, to watch their stories come full circle to the classroom where it all began. Everyone has their moment in this scene that makes them cry the most, but mine will always be Shawn’s goodbye. And if you don’t openly weep when Mr. Feeny turns to the empty classroom and says, “I love you all. Class dismissed,” then I think you need to make sure your heart isn’t actually made of stone. The idea for this feature (and the idea for yesterday’s discussion of the emotional power of television) came from a recent YouTube excursion to rewatch some scenes from the series finale of Lost. One thing led to another, and I ended up sitting on my couch, crying my eyes out over one scene in particular—a scene that I’ve continued to watch for the last two weeks on a near-constant repetitious loop. Fifty (or more) viewings later over the course of three years, the reunion between Sawyer and Juliet at the hospital vending machine still hits me the same way it did that May night when I saw it for the first time. Even if you’ve never watched Lost, even if you have no idea who these characters are or what they mean to each other, I dare you to watch this video and remain unmoved. I’ve watched a lot of television in my almost-25 years on this Earth, and this is by far the most beautiful scene I’ve ever watched. The background is relatively simple (for Lost at least): Sawyer and Juliet were happy and in love, and he was ready to propose before she was violently torn from his grasp by electromagnetic forces on the island, eventually dying in his arms. In this scene, both of them are wandering around a kind of “spiritual waiting room” in which they have no memory of their past life until they meet their “constant,” the person who wakes them up to the reality of their lives (and deaths). In this case, Sawyer and Juliet are each other’s constant—each other’s soulmate. There are no words for how much this scene still fills me with a sense of pure relief and happiness. It truly feels like you’re watching two people with so much history of joy and pain finding each other after a lifetime apart. The chemistry between Josh Holloway and Elizabeth Mitchell in this scene is the standard by which I judge all other actors’ chemistry because they make me feel every intense emotion as it sweeps through them—from initial attraction to the pain of horrific memories to the speechless joy of holding one another again. Holloway and Mitchell were truly breathtaking in this moment. I love how she falters a little when she remembers falling to her death, but what I love most is that this time he’s there to keep her from falling—and he’s not letting the chance to hold her slip through his fingers ever again. When he says “I got you, baby,” as his voice cracks, I feel like someone is stepping on my chest while simultaneously making my heart grow 15 sizes. There’s something so gorgeously intimate about it, so real. And when Juliet cries and laughs at the same time you can feel her relief like it’s your own—a relief mirrored in Sawyer’s smile, a smile so bright and so hopeful it’s like nothing we’ve seen him express before. And don’t even get me started on the kiss. Her giddy anticipation. His passionate intensity. The most mature, honest, and beautiful love story on Lost got its happy ending—all to the sounds of Michael Giacchino’s perfect score. In the immortal words of Juliet, “It worked.” The goal of this reunion was to remind us just how epic this love story had become and just how good these two actors were together—while making us cry buckets of tears. I’d say it worked perfectly.